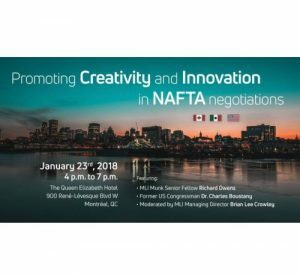 More than 50 key stakeholders at the sixth round of NAFTA negotiations in Montréal listened to a panel discussion on the importance of IP in trade. 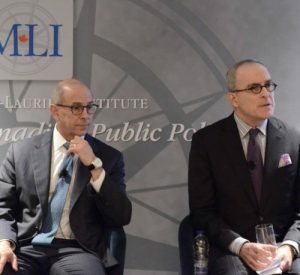 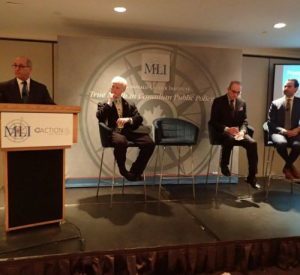 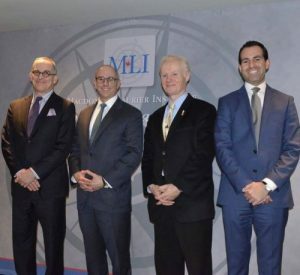 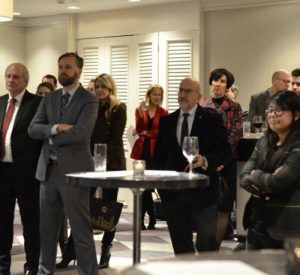 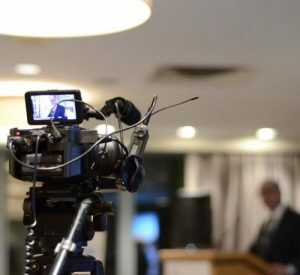 The panel was co-hosted by the Macdonald-Laurier Institute (MLI) and ACTION for Trade, and supported by the Canadian American Business Council (CABC). 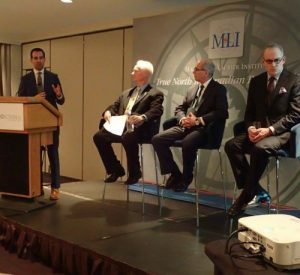 The panel featured former U.S. 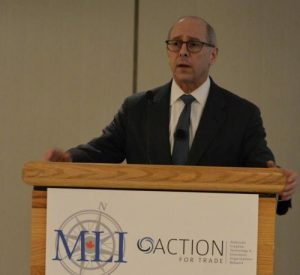 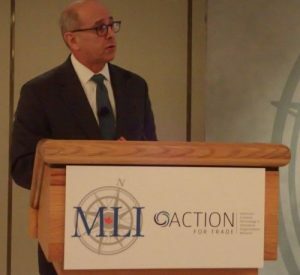 Congressman Charles Boustany, MD, Josh Teitelbaum with ACTION for Trade, and Richard Owens of MLI. 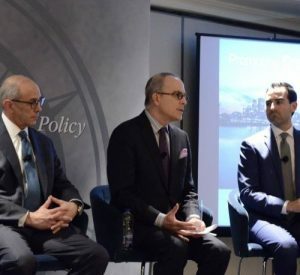 L to R: Brian Lee Crowley, Charles Boustany, Richard Owens, and Josh Teitelbaum. 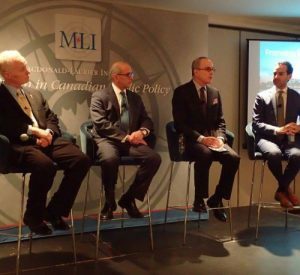 We had a great time at our event in Montreal, Canada during NAFTA negotiations!